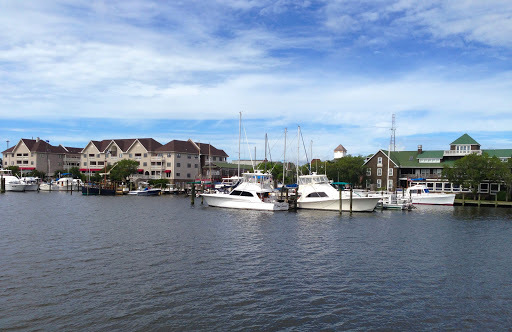 Later yesterday morning, I had yet another wonderful walk around the harbor in Manteo. The rain had stopped for a bit and it was lovely. A most excellent walk indeed and yes, I am grateful. 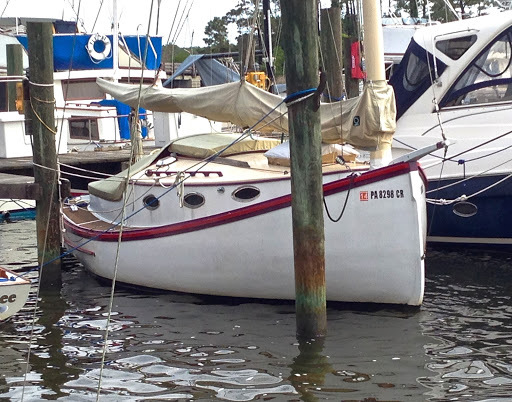 Here are a few photos from Manteo. 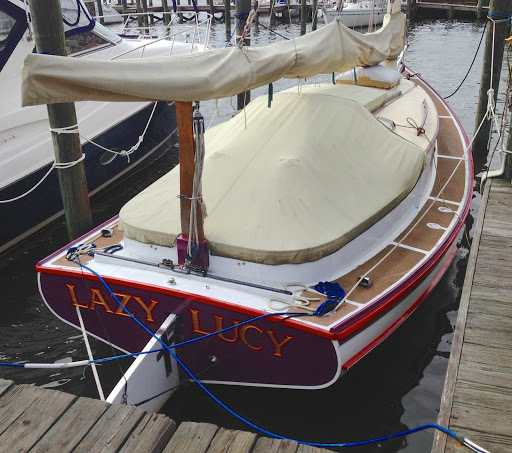 Here is the harbor and my favorite “little” sailboat over there. I love the roundness of its lines. What I am most grateful for yesterday, was working on our routing for the second half of the Big Adventure! Lynn and I poured over the notes, and the books, and the maps, and apps… coming up with a rough draft of our schedule and planned route. This took hours and we worked on it together. I am amazingly grateful and I can hardly wait. The phenomenal, wondrous sights we will see as the birds lead us around Oz! 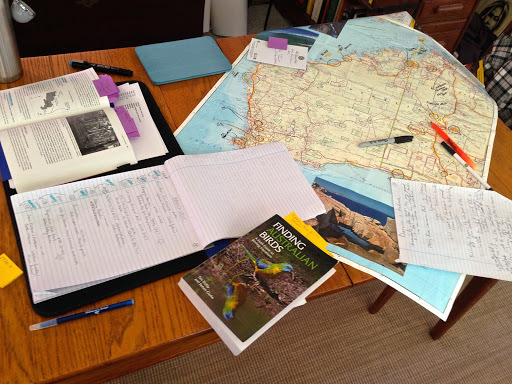 Writing down names like, Shark Bay or Broome Bird Observatory and SO many others as destinations, not just places! I am possibly going to need another word for grateful. I may wear it out. However, that is the most wonderful thing about gratitude. It is like love; you cannot wear it out! The more gratitude that you give, the more gratitude you have. The more you are grateful, the more easy it becomes to be grateful. So, I am very grateful. Some days I am also worried and anxious, or frustrated and angry, but when I sit down to write these posts, I look for and find the things for which I am truly grateful. It may occasionally begin as a “fake it until you make it” type thing, but it works. And I am grateful. Here is a photo of our planning table from yesterday.